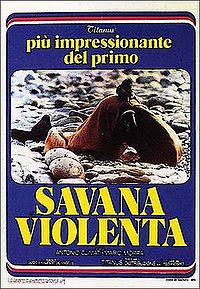 Savage Man Savage Beast is in my top 10 favourites films at the moment and it is by far one of the most interesting documentaries ever made or mockumentry as some would call it. As a follow up to its huge success they made a second and after this there would be a 3rd sweet and savage an interesting piece. The film… It’s a short review so I might just merge everything together. Some interesting narration throw some bizarre stuff though I don’t really like the theme too it, It doesn’t make much scents to be fair. The direction can be kind of seen as a rush job (Along with the rest) likely to get in too theatres quickly. Final… Sorry there is not much to talk about in this Mondo flick and I usually like these kinds of films but this one is just poor and their isn’t much going-on anyway throughout the film really.